North East India is called nature’s gift to India. It is mountainous, thickly forested, nourished by massive rainfall, has massive rivers, has a diverse wildlife, inhabited a number of forest dwellers called tribes who cherished environmentalist ethos. The region has been experiencing environmental depletion which was a result of colonial policies, exploitation of its ecological and mineral resources, large scale trans-border immigration and settlement of people, establishment of the plantation industry through deforestation and the dependence of the dairy industry on grazing and other factors. 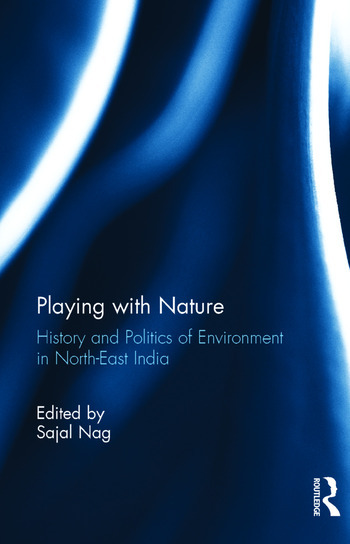 This books depicts the precariousness of the environmental situation and traces the history and politics of such degeneration with a view to raise the consciousness of the people of the region towards their environment and save it from further aggravation. Sajal Nag teaches Modern History at Assam Central University. Earlier he was associated with the North-Eastern Hill University and the Centre for Social Studies, Surat.